My printing on fabric experiments are only an excuse to worship at the shrine of DVF Originals. This is a nice one – perfect for holidays, but maybe for work when its really, really warm. I showed you my Red “Blades” dress. The beauty of making a lino print is that you can change the colourway, just like in a factory. The DVF Blades fabric originally came in red, green, black, and I think in brown. But I really wanted green. I printed a few metres of soft white Indian cotton lawn. I used green fabric paint with blue in a ration of 2:1 to produce a slightly bluer green. 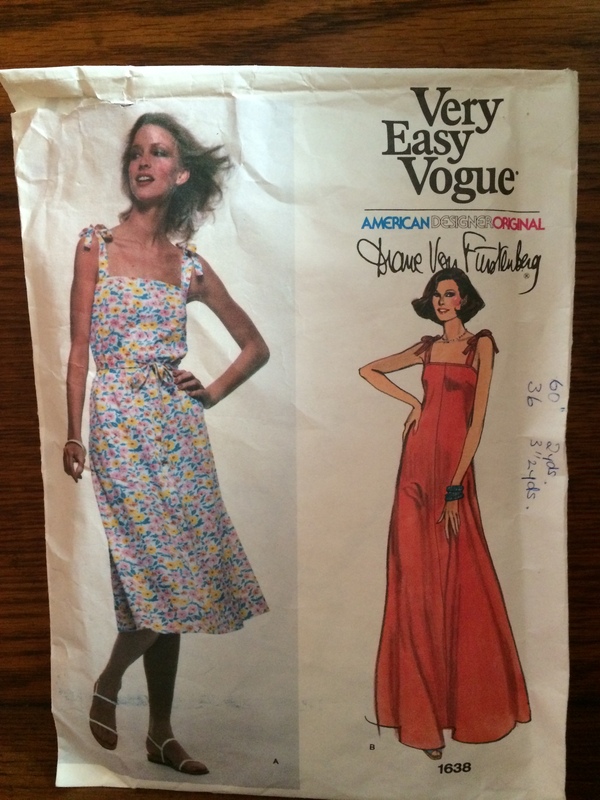 I used this to make up DVF’s Vogue 1638 with the printed cotton lawn. I lengthened the pattern a little in the bodice and shortened it considerably in the length. The main change I made was to omit the narrow tied straps and to add slightly wider fixed straps, making it a little less beach-like. And because I wanted to be sure to cover the bra straps. It has a self tie belt but looks quite nice with a leather one, or loose and unbelted as in View B. Because the lawn is fairly transparent, it is lined with the same plain white, unprinted, lawn. This is such a comfortable dress, especially when you need a little air to circulate. 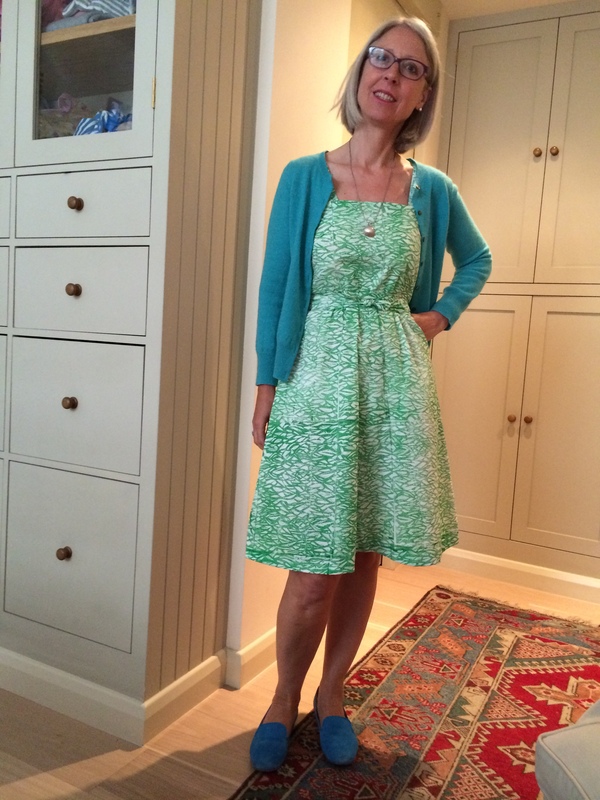 And I am learning that old DVF likes zips. 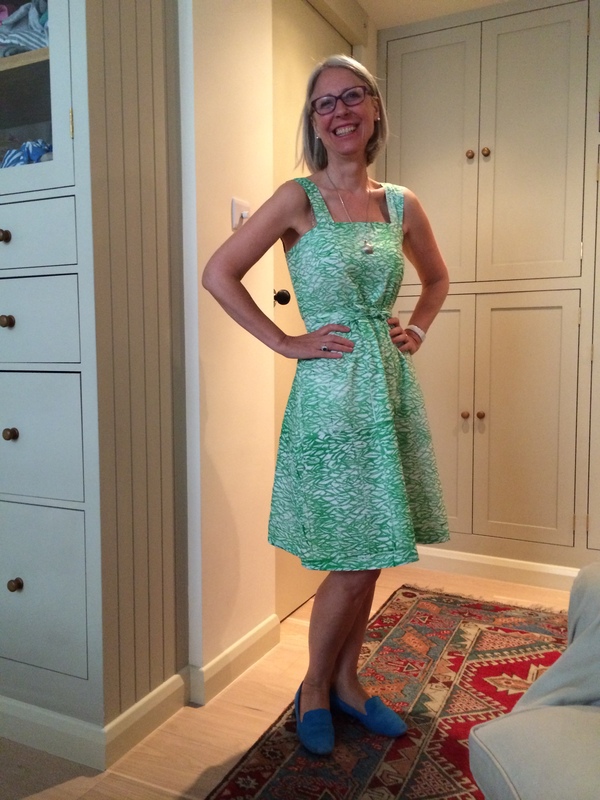 This dress has a zip – if you make the tie-shoulder version I doubt you would need one. I have my cardigan on today as the weather can always change. I had quite a lot left over. 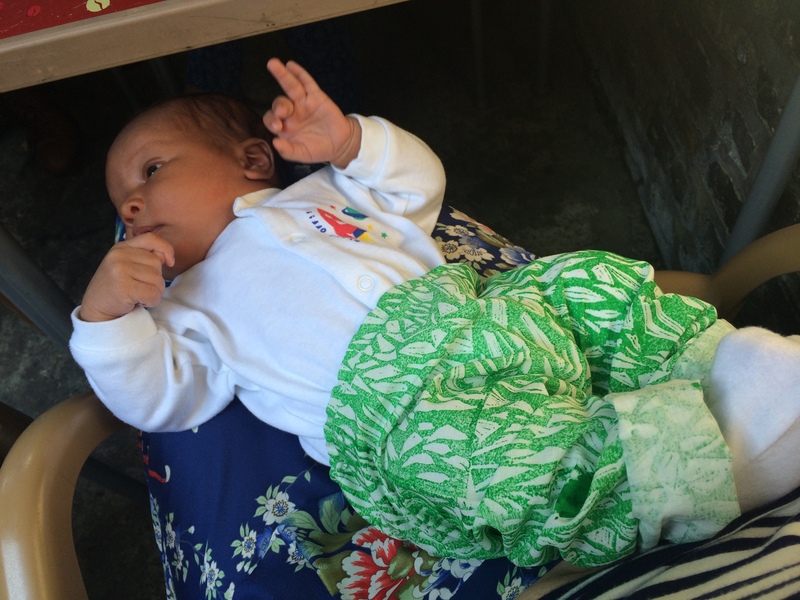 So I made some PJ bottoms for me, and a pair of trousers for the baby too. Love your style! The printing is great and the dress and fit are impressive. You look great. Hi Kate, I am your priting buddy 😉 I am very impressed by your hand printing! It must be so satisfying to wear an outfit that you have printed and sewn!